Megan and Scott first met on OkCupid. When they started talking, they lived on opposite sides of the US/Canadian border, Megan in Toronto, Ontario and Scott two hours away in Buffalo, N.Y. The distance was a concern, but they liked each other and decided to give it a shot. For their first in-person date, Scott came to Megan and they went to the funky and memorable Royal Ontario Museum. Scott was several hours late because he misjudged traffic, but Megan was nice enough to wait around in the neighborhood for him. They hung out at the museum for a few hours, spent a lot of time talking and laughing, and they have been doing it ever since. When they decided that this was a "forever thing," Megan and Scott knew that one of them would have to emigrate. They talked about their options and made a plan together. "We knew marriage would be the easiest way to be together," explained Megan. You can find the bride on Instagram @princessofqueenstreet and their photographer @markusstaleyphotography. 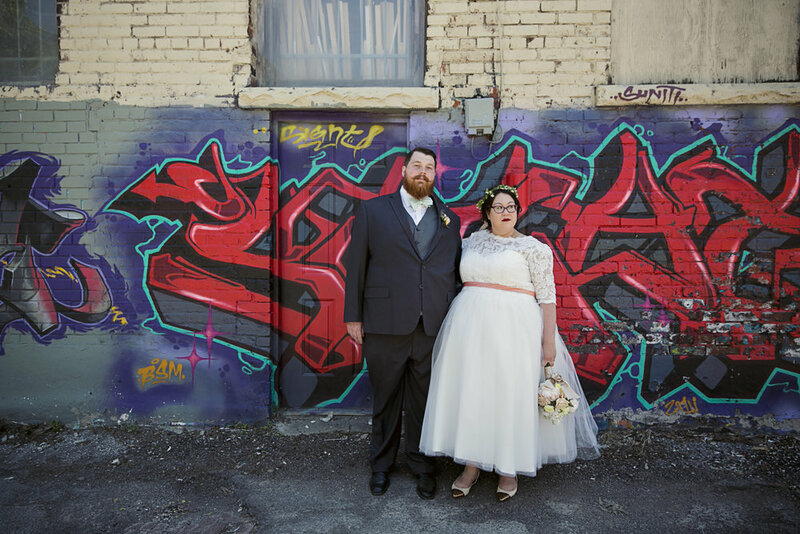 Megan and Scott tied the knot in Toronto, Ontario on May 23rd, 2015, in front of a close-knit group of 35. "It was important for us to get married in Toronto," explained Megan. 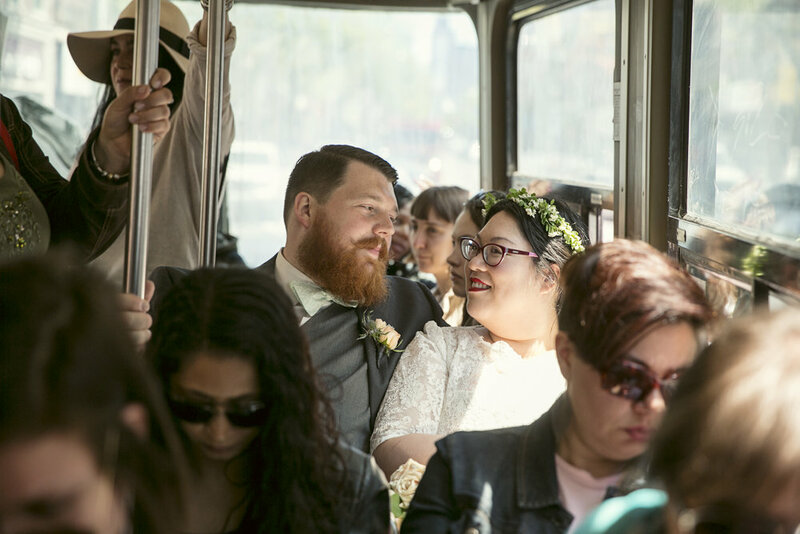 "We live our lives in this city and wanted very much for it to be a part of our wedding." 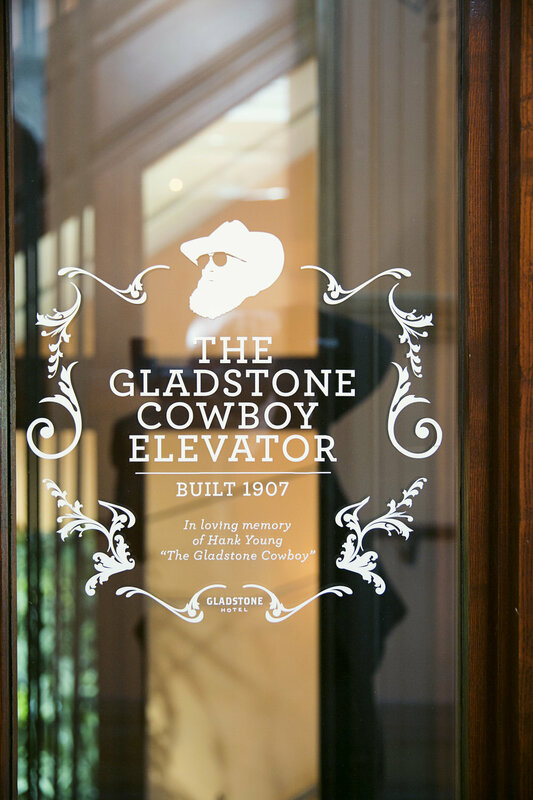 They picked a public park for the ceremony and the Gladstone Hotel, an affordable boutique art hotel, for the reception. 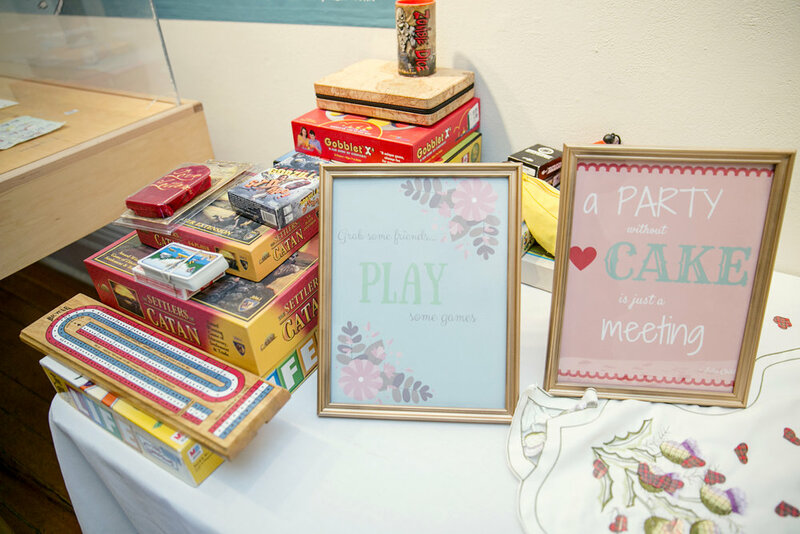 They wanted to keep things fun and unconventional and it was important for them to support vendors that shared similar values. The couple landed on a wedding budget of $5,000, which Megan thought was more than a reasonable amount to spend. However, while planning, Megan realized that this was way less than average, especially in a large city, but with a little DIY-magic they were able to stick to their budget. 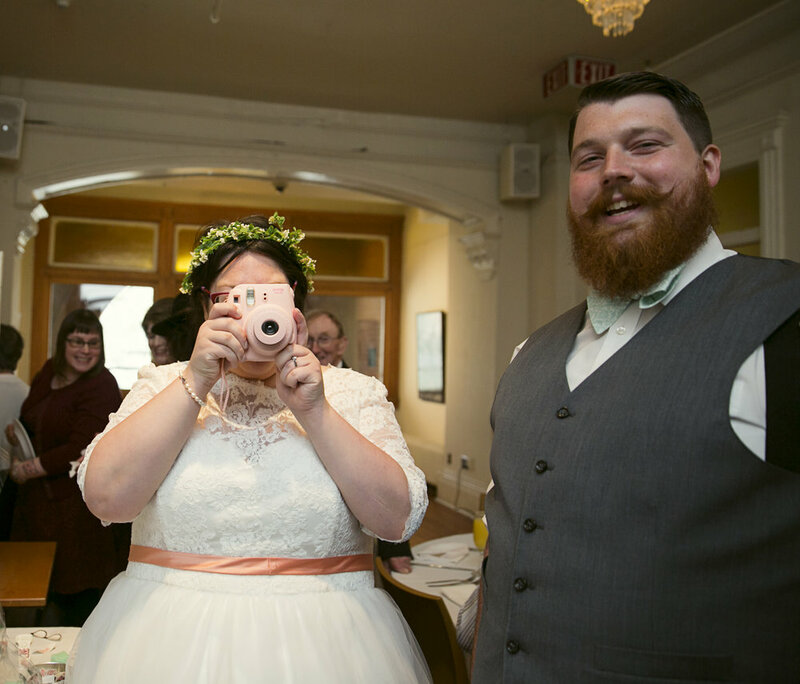 This crafty couple made everything, with the exception of Megan's bouquet, by hand. 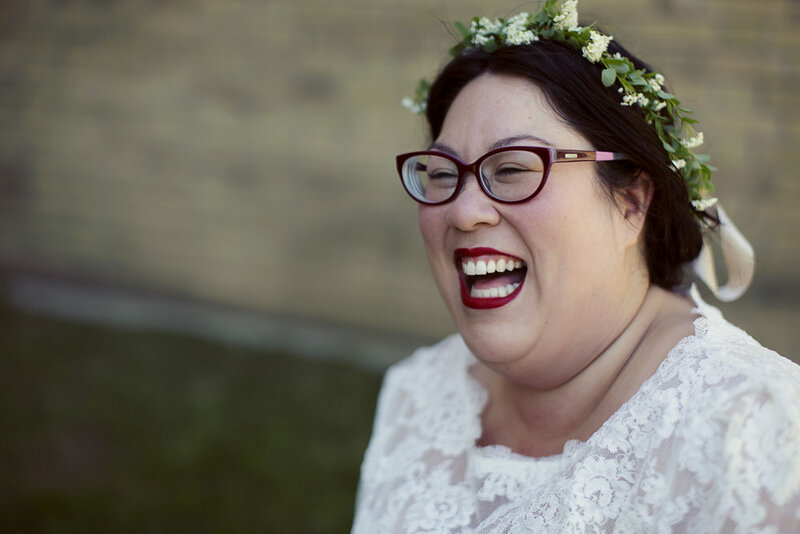 "It was really important to me to pick a photographer that didn't just show me fat brides because I request them, but highlighted them - and other diverse couples and bodies - in their work." The room that they booked at the hotel had a great vintage aesthetic and to keep costs down, they kept decor to a minimum. There was a photography festival going on at the same time and there were photos on display all over the hotel so there were great built in decorations. Megan did not really feel the need to do wedding favors, but Scott wanted to, so they struck a compromise and ordered a bunch of temporary tattoos, which turned out to be a lot of fun for their guests. For her dress, Megan turned to an Etsy designer. She wanted to skip the whole uncomfortable "dress-not-fitting" experience and had something made to measure instead. Megan and Scott are proud urbanites so Megan insisted that they take public transit to and from everything. Riding around their city in full wedding attire actually ended up being Megan's favorite part of the day. Her Instagram handle is @princessofqueenstreet, so it felt particularly "on-brand." A passerby actually shouted "It's the Princess of Queen Street," when Megan was boarding the streetcar. 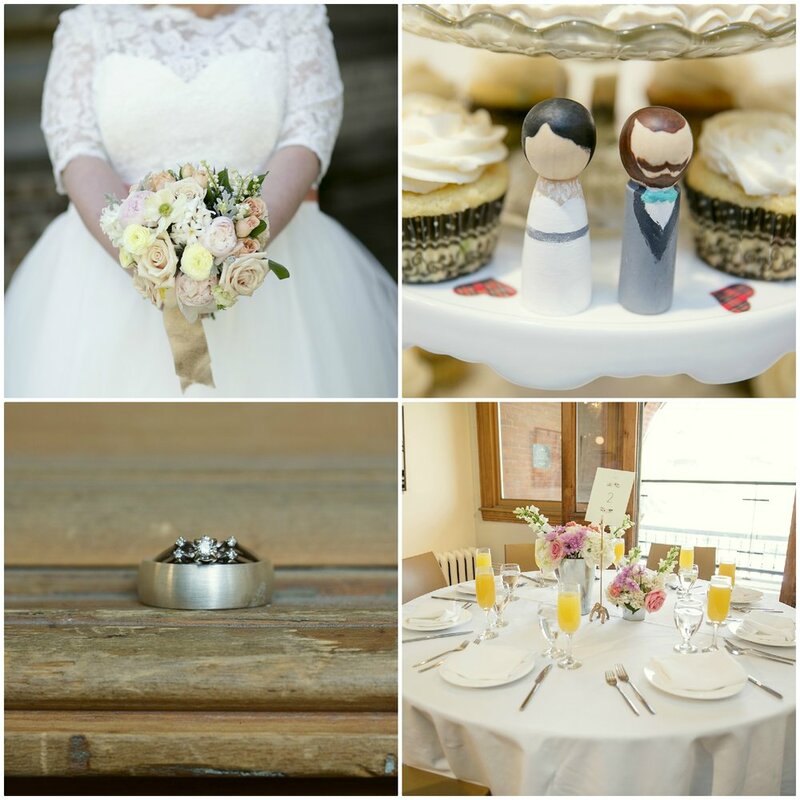 Megan's overall goal for the day was to make sure that everyone enjoyed themselves and it was not a boring wedding. 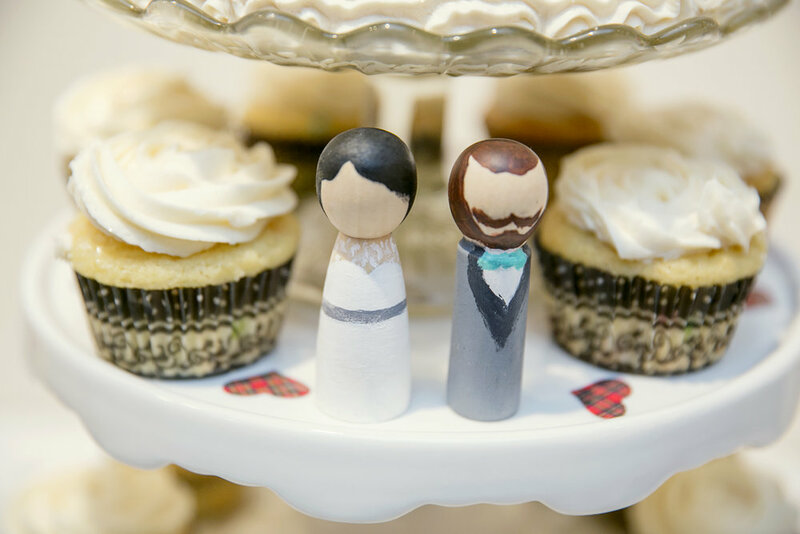 She also wanted the day to be true to their identity as a couple without alienating their families, but the biggest challenge was sticking to their budget. Keeping things under cost meant getting creative and prioritizing what was important. Megan's advice for other members of the Big Bride Club is to let go of expectations and do what feels right to you and your partner. 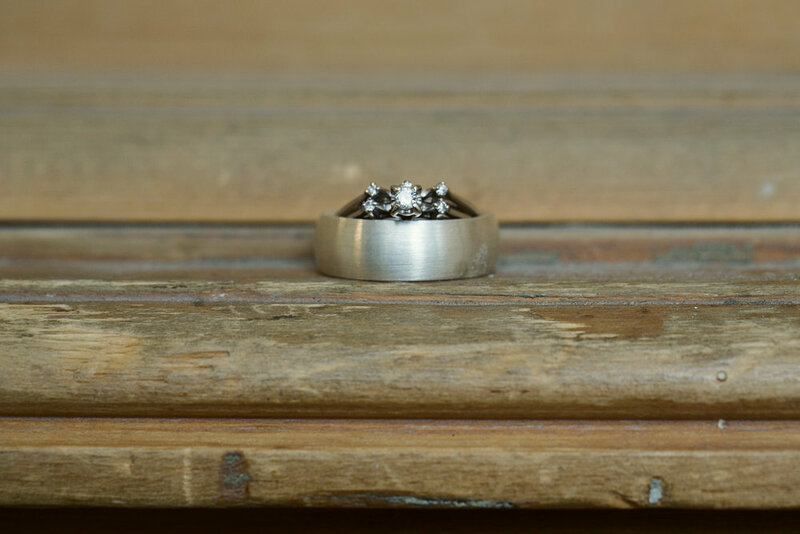 "It's easy to fall down the "Pinterest-hole" and think that's what you need your wedding to be," explained Megan. "But so much of what we see on Pinterest, is staged and photoshopped - like a lot of media we consume - and it's easy to forget that those aren't always real weddings, but rather editorials to promote individuals' businesses. Be true to what you want, even if it's not what is expected of you."